We’ve all heard something of this nature. This is typically called out from the trampoline. 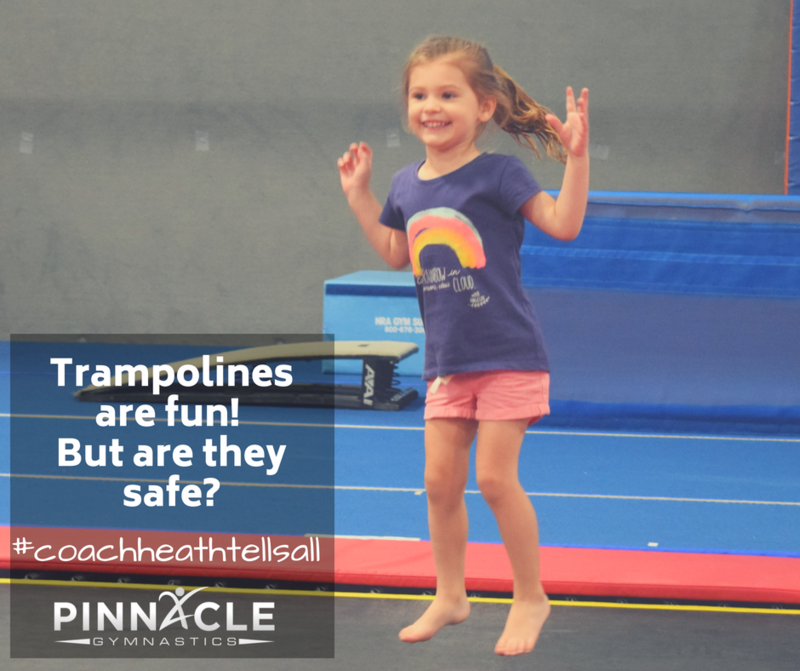 Now don’t get me wrong, the trampoline is a very useful tool when used to help in the progression of skills (such as a back handspring) but if you are training for the floor exercise or football sidelines...it can almost be as much of a hindrance as it is helpful, with the exception of tumbling classes. 1. It has a very forgiving surface. Every ounce that pushes against it, pushes back once the force has either lessened or has reached its highest degree of depression. Now think about the floor, or even better, let's call it the ground. The ground is a pretty solid surface. Most surfaces that you are on do not depress and push back...it is just there...solid, non-moving, non-forgiving. So when you turn over that back handspring two inches from your own heels, the surface of the trampoline gives enough for your feet to make it over your head. Pretty ugly, but hey you didn’t die! 2. It has a very springy surface. So that same force that you apply to it is doubled (or tripled) on the way out/up. Bouncing 3-6 times and then flipping backwards at a point that is below your own center of gravity doesn’t translate to the ground well (you know that non-springy surface). Most people will agree that bouncing 3-6 times on the ground will do nothing for you when you go for that back tuck. 3. Home trampolines are dangerous! According to USA Today, "the American Academy of Pediatrics has recommended against backyard trampolines since 1999, and many homeowner insurance policies either prohibit them or have a clear exclusion for trampoline injuries." Now, those are home trampolines but even our inground trampolines have safety warnings about the dangers of using them printed on all four sides. This doesn’t mean that you won’t see me teaching on them, but there is the key….teaching. How to bounce, how to land, how to fall, and work your way up progressively. 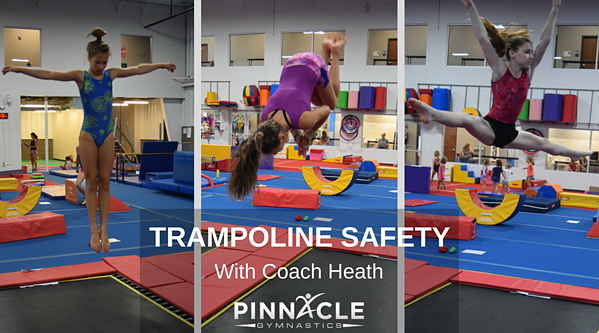 Once the basics are covered there are a lot of advantages to using the trampoline. It should not be the only drill or apparatus used in training for tumbling, instead it is a tool that should be utilized properly for the best skill progression.